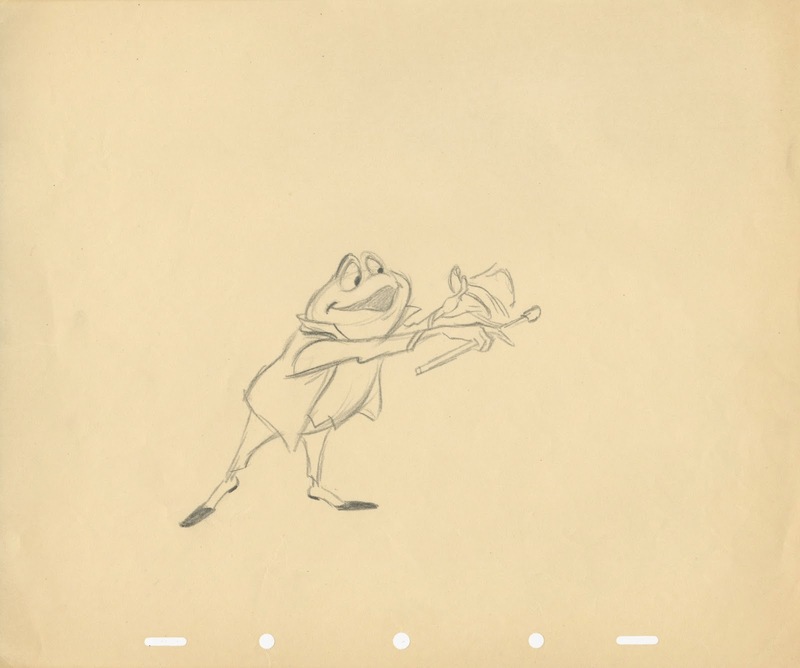 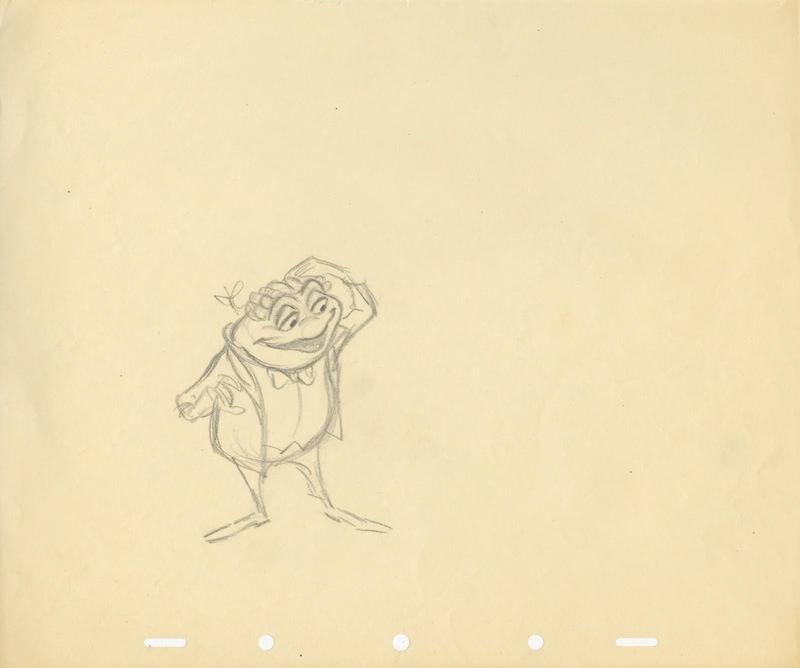 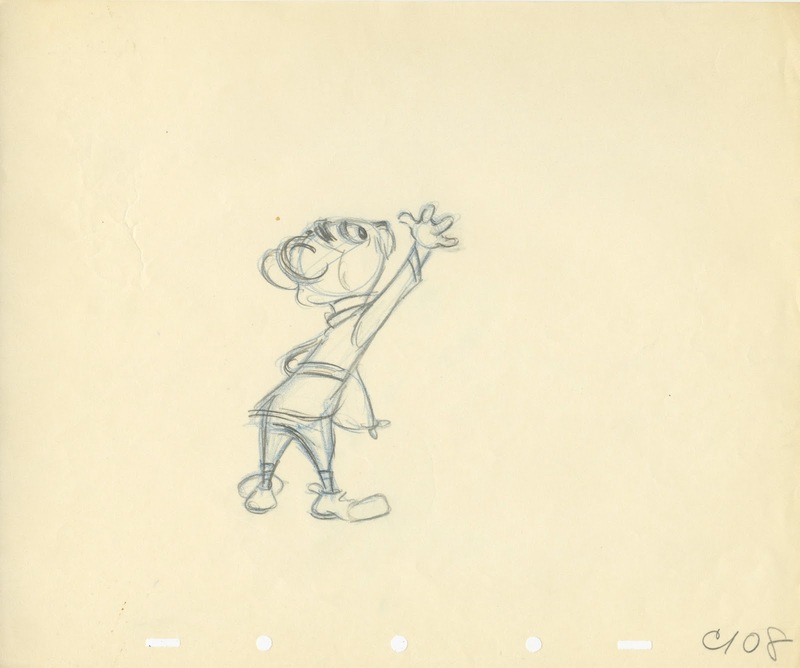 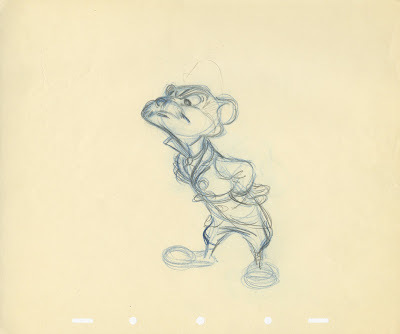 Milt Kahl animated key scenes with characters like MacBadger, Rat and Mole for the Mr. Toad section of the 1949 film The Adventures of Ichabod and Mr. Toad. 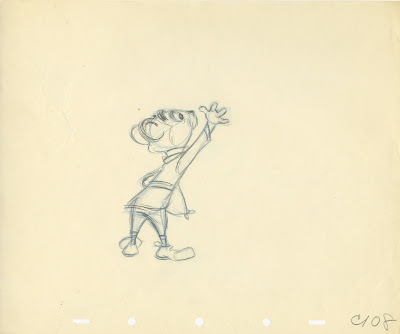 The scene above is one of those scenes. 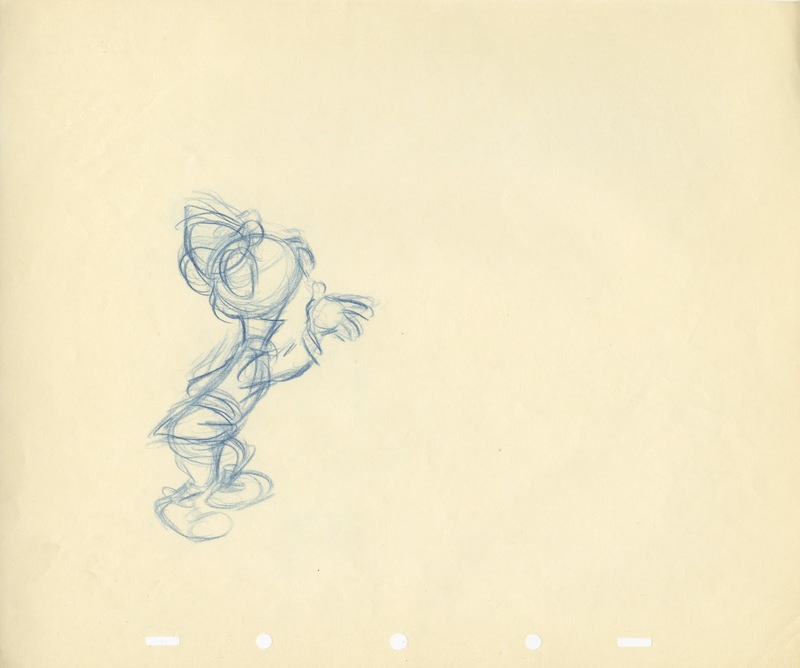 Even this one frame reveals Kahl's extraordinary strength for clear staging, superior drawing and an overall feeling for contrasting personalities. To my knowledge Milt didn't do any scenes with Toad, that character was primarily handled by Frank Thomas, Ollie Johnston and Ward Kimball. But as usual Milt was on hand when it came to improving the draughtsmanship of scenes done by his colleagues. 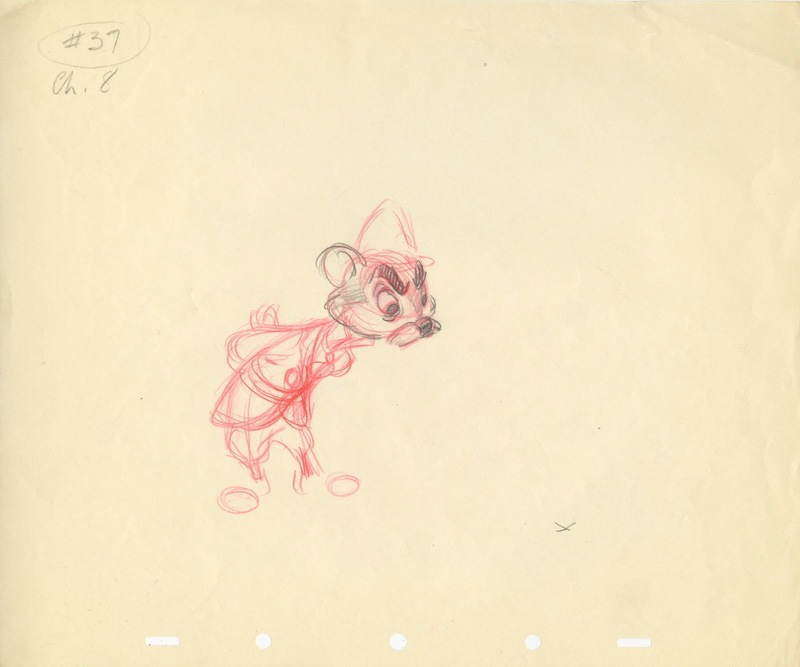 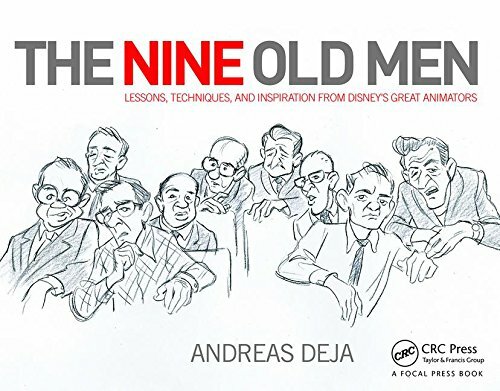 Here are three beautiful sketches that he made for his fellow animators. A few rough animation drawings of Rat from Milt's own animation. 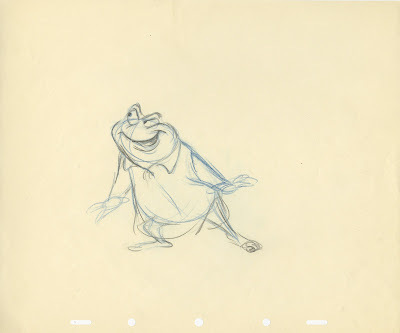 He never spoke highly about his work on short films, but as you can see, he always gave his best on the post war "package films". 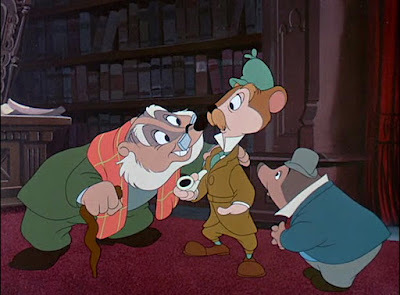 It's just that he preferred the fuller character development of Disney feature films. For the upcoming movie Cinderella Milt animated the King and Duke as well as the Fairy Godmother.